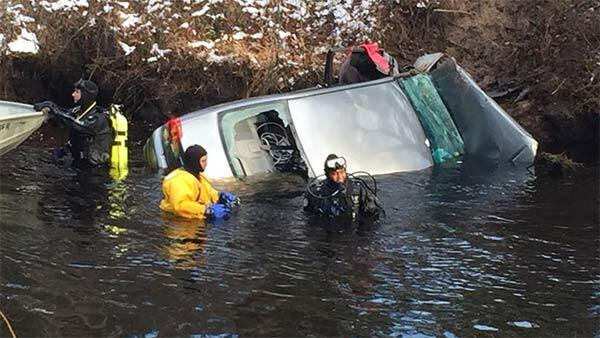 MULLICA TWP., N.J. (WPVI) -- A person was found dead inside a car that was discovered in the Mullica River in Mullica Township, New Jersey. Rescuers were called to the 4500 block of Pleasant Mills Road shortly after 7 a.m. Monday for a report of a car in the water. Investigators say that, for an unknown reason, the Honda Civic was being driven north on Elwood Road when the driver went through the intersection at Pleasant Mills Road, through the yard of a home, and into the water. Police say it's possible the incident happened overnight and was only discovered in the morning. The name of the person who died has not been released pending family notification.